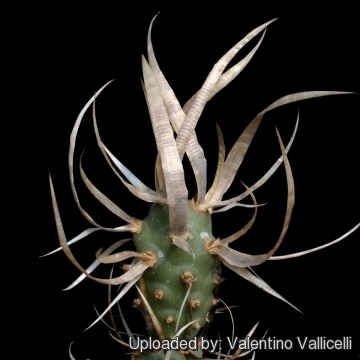 = Tephrocactus articulatus var. papyracanthus (Phil.) Backeb. Origin and Habitat: Western Argentina. 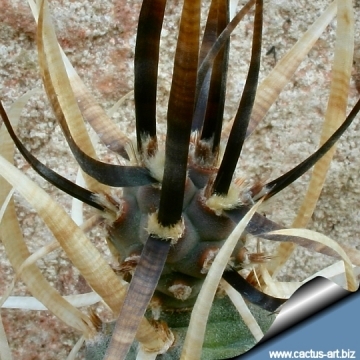 ENGLISH: Paper Spine Cactus, Paper Spine Cholla Cactus. 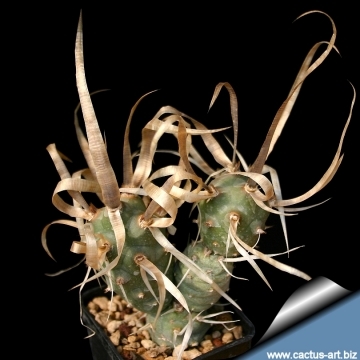 Description: Segmented bushy succulent slowly growing up to up to 30 cm, it is the typical form of a group of variety. Notes: The little glochids at the areoles are quite a nuisance, and it is best to use gloves to handle this plant. 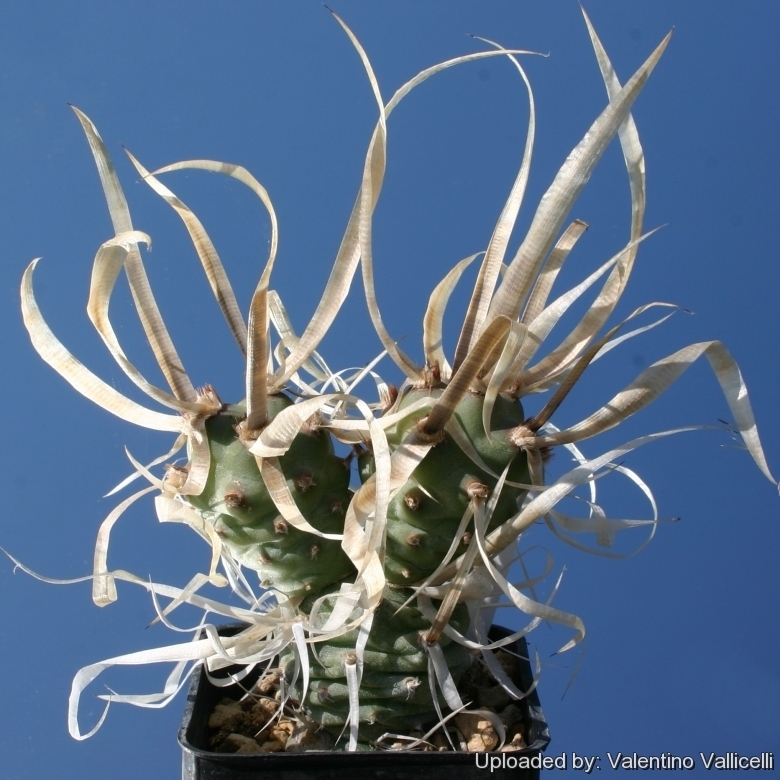 Cultivation and Propagation: It is easy to grow but usually couldn’t get very tall as segment kept falling apart. It is fairly cold resistant and hardy to -9°C depending on the clone, Need full sun, (with insufficient illumination stems get thinner as a result of the lack of sun) The main growing period is spring. It might produce some new segments in the autumn too. Needs good drainage. 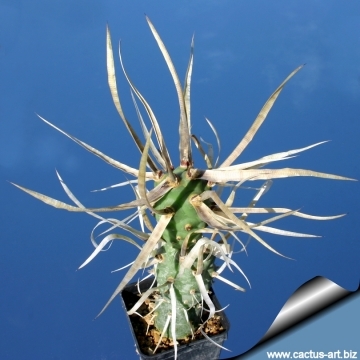 Propagation is through segment cuttings, or occasionally seeds.